Everyone likes seeing a smiling face and everyone likes knowing their drops so, everyone should like the MDOT “Emoji” Sticker by Scope Dope. 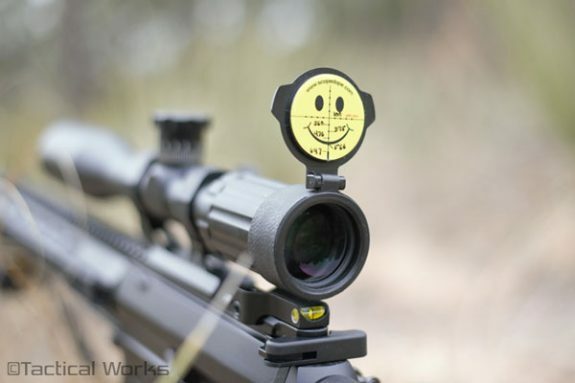 These stickers feature a bright yellow smiley face with a MIL-dot reticle superimposed and space to right in your drops at various dots. Just write in your dope with a fine tip permanent marker, place the sticker in your rear scope cap, and enjoy the warm feelings that accompany looking at a smiling face and knowing your drops. The MDOT “Emoji” Sticker is available at Tactical Works.